1. 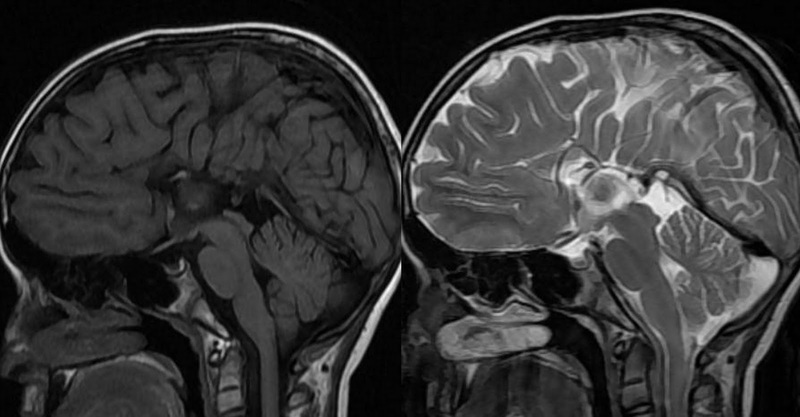 Parallel non converging widely separated lateral ventricles on axial sections,the most striking feature. 2. 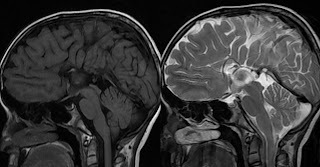 Occipital horn dilated – Colpocephaly. 3. Pointed or trident shaped frontal horns on coronal sections. 4. Non visualisation of normal stripe of CC on mid sagittal section, gyri and sulci directly radiating from roof of third ventricle. 5. High riding third ventricle. 6. Absent cingulate gyrus on sagittal section which is normally seen parallel and cranial to CC. 7. 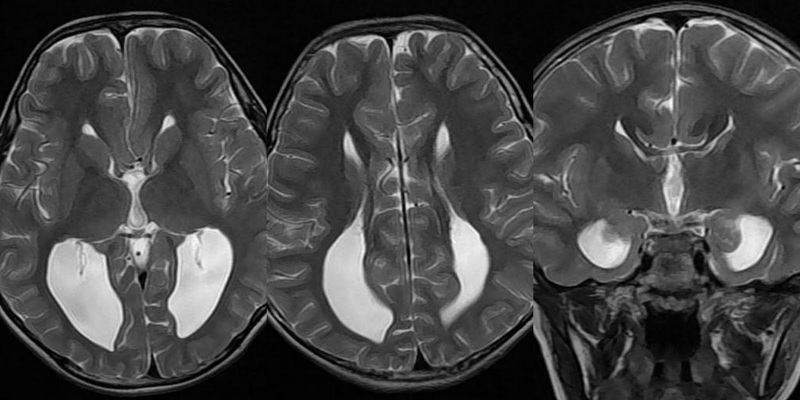 Vertically originated hippocampi with key hole appearance of temporal horns on coronal sections. 8. 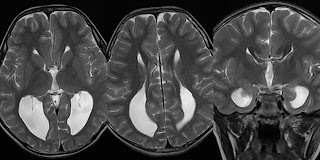 Probst bundles, the abnormal longitudinally orientated band of white matter track medial to lateral ventricles seen on coronal sections.